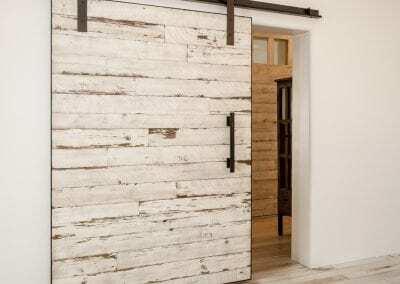 Reclaimed speckled white door set at the entrance of this home in Scottsdale, Arizona starts a theme of sliding doors throughout this elegant white home. 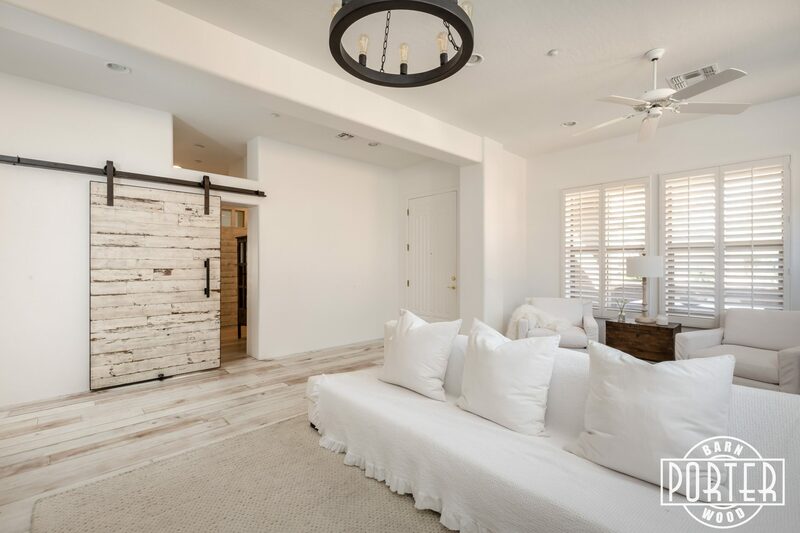 This North Scottsdale home has an elegant white theme through out the home from the furniture, their animals to the sliding doors this home is pure white. 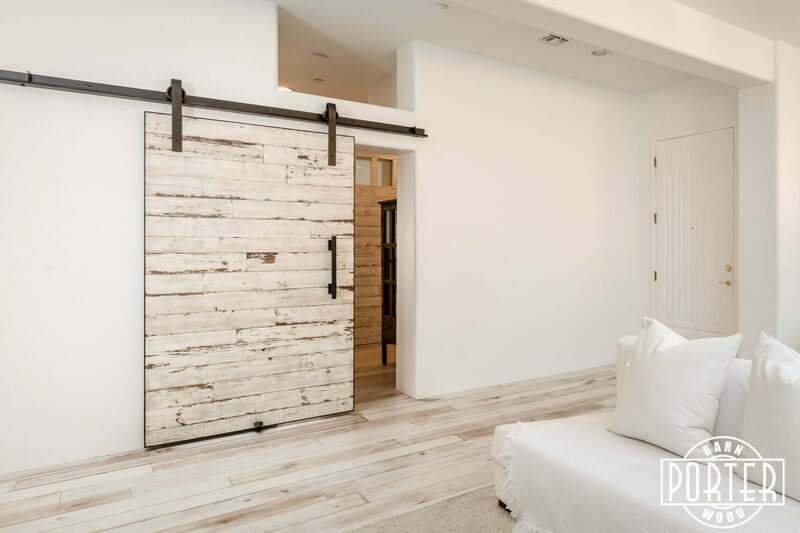 The door set as you enter the home is a statement piece, setting the tone for conversation through out your stay in the home. 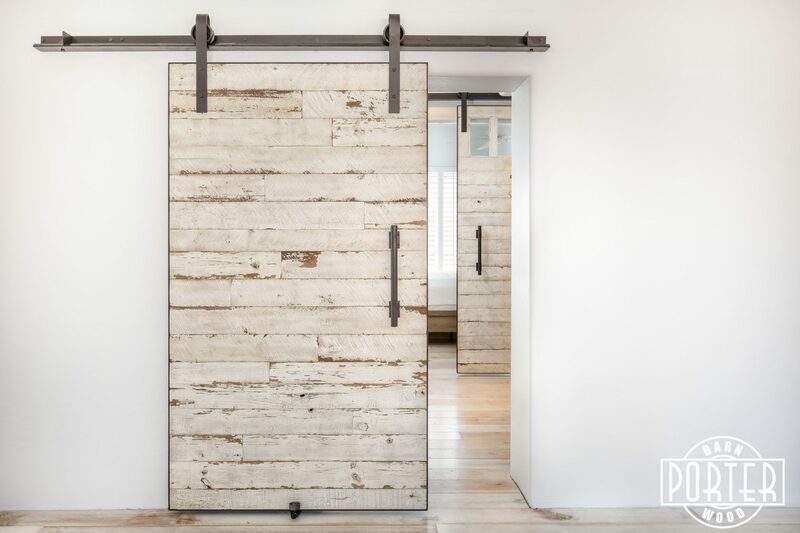 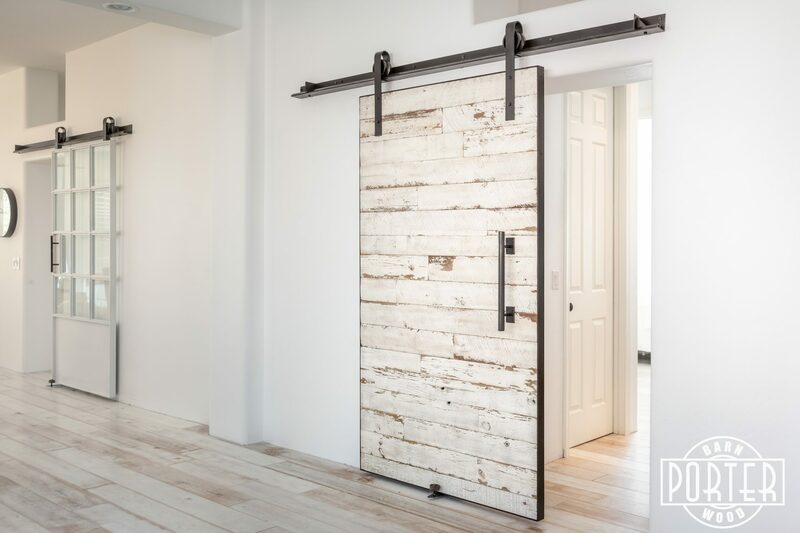 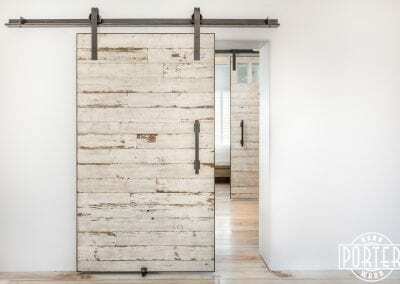 Built in our custom shop at Porter Barn Wood, it is made from our reclaimed speckled white material, the hardware and metal door frame fabricated in our metal shop Porter Iron Works, installed by our team Bjorn Company. You can see through the door way is another speckled white door, this door will appear on it’s own page shortly. 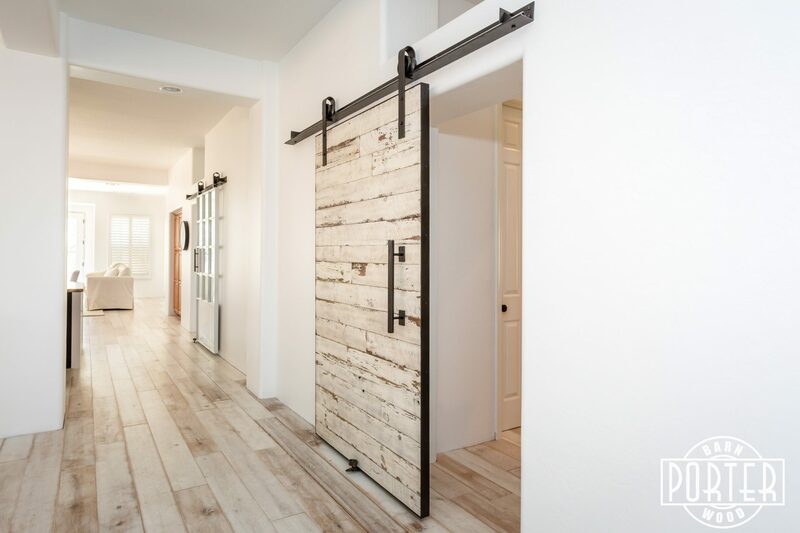 Each of the four doors in this home are slightly different in design. 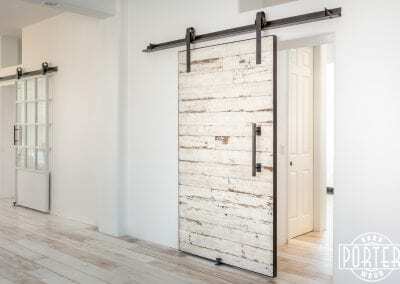 The doors will be linked to their own pages, when they are released. 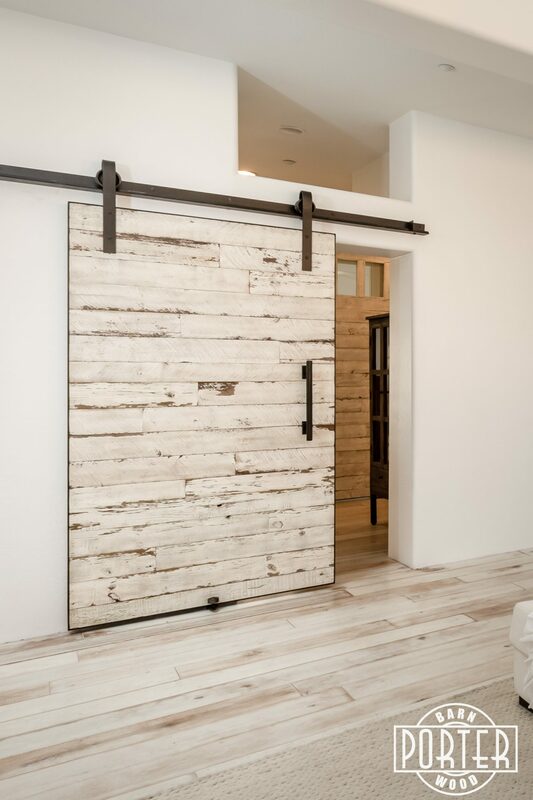 If you are interested in a standard size sliding barn door you can click here. 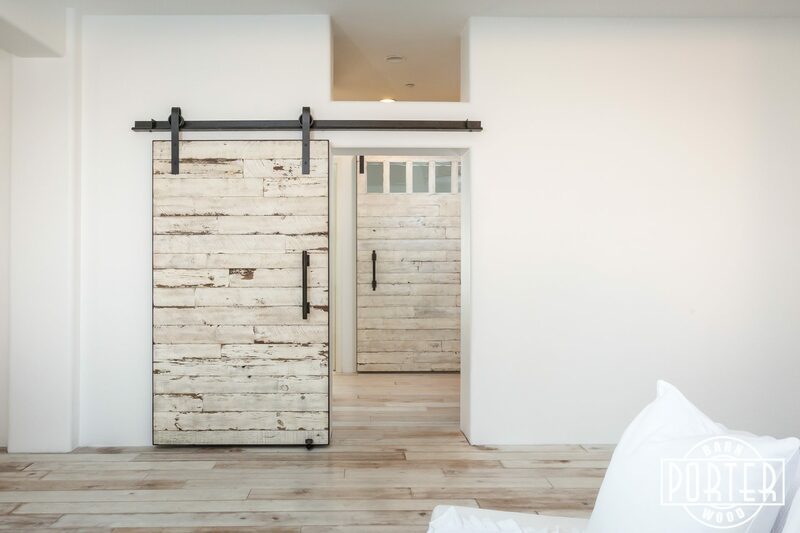 Please include the door opening size, space to the right & left of doorway and space above to ceiling.